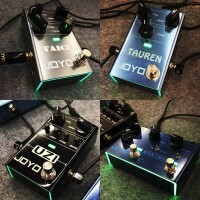 JOYO's versatile 30W practice amp with a full palette of tone options giving you complete control of your effects and EQ. From the nicest cleans to the heaviest of metal tones this amp delivers. Add the plethora of inbuilt effects and this is the perfect home or jam amp. On top of all that you have the built in drum machine with 36 patterns, making this an amazingly good practice tool, no more boring metronome, as you have your own drummer, with its own volume control and tempo! Ideal for practice and jamming. With Cab simulated 'Phone' output on the rear panel is used as a line output, record direct to the PC sound card or an Audio Mixer. Plug in your smart phone to the Aux in and don't forget your headphones. 36-pattern drum machine with tempo and volume control. 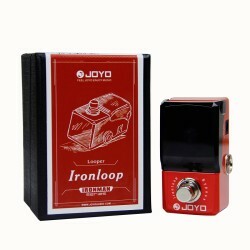 The JOYO DC-30 is a Digital Guitar Amplifier, suitable for beginners to professionals. The amp features gain and volume controls, plus a 3 band EQ and Presence control, to get that ideal guitar sound. The DC-30 also includes a drum machine with over 30 presets, and 8 different selectable amp tones to choose from. 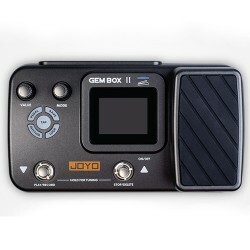 The JOYO DC-30 is the perfect amp for any beginner looking to learn, or for any professional looking for a portable, fun guitar amp. The DC-30 comes with an in-built digital effects unit, plus 8 digitally modelled amp sounds to switch through, all based off classic guitar amplifier tones. The 6 effects are grouped into two controls for ease of use, one containing Delay and Reverb, the other with modulation. Unlike the smaller DC-15, the DC-30 includes a full 3 band EQ, commonly found on most medium sized guitar amps. 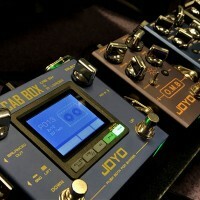 The controls include bass, mid, and treble, as well as a presence control, to give that high-end an extra boost. 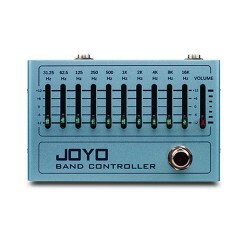 The JOYO DC-30 features a drum machine containing 36 preset rhythms and beats. The rhythm section also includes an easy to access volume control for your drum parts, making the DC-30 a fun, easy to use amp with great additional features. 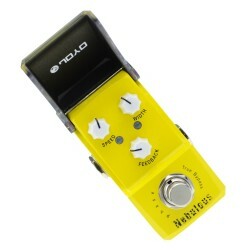 The three-function controls on the DC-30 allow for quick tempo and rhythm changes. 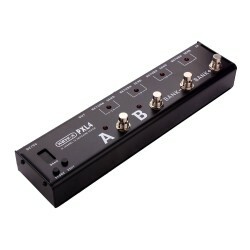 The "TURN" button switches between the three functions; rhythm, tempo and volume. Once selecting the function with TURN, control your level/speed or choose your drum pattern using the "+" and "-" buttons. "ACTIVE" switches the drum machine on and off, but will start off from your last used drum pattern once turned back on. Switching off the whole amp does not save which drum pattern you were up to. Included with the DC-30 is an auxiliary input, located on the back of the amp. 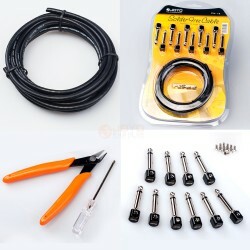 Through this you can connect your MP3 player, iPod, laptop or phone and play along your favourite artists' tunes. The headphone input cancels out the speaker, and is perfect for when practicing quiet is required.